The Cannabis Conservancy™ provides Sustainability Certification to Cannabis organizations that adhere to Good Agricultural Practices, are free of harmful chemical inputs, utilize waste reduction methods, are energy efficient, and conserve water. We offer our certifications globally. Our mission is to empower and assure that the regulated Cannabis industry achieves environmental, economic, and social sustainability. Our team of qualified sustainability experts understand that this is a long-term commitment of gradual improvement and have therefore based our Standards on a pragmatic approach that incorporates and appreciates the uniqueness of each individual’s practices. Through our processes we also work to preserve the historic, cultural, and genetic heritage of Cannabis. We guide growers towards compliance and provide support in achieving sustainability and resiliency in the marketplace. We elevate the industry as we take the journey toward sustainability together. Our goal is to make the Cannabis industry the most sustainable industry on the planet. Our organization is backed by a rigorous Quality Management System (QMS). Our Standards can be applied to any type of grow – indoor to sun grown; individual to grower groups; small to large; and everything in between. 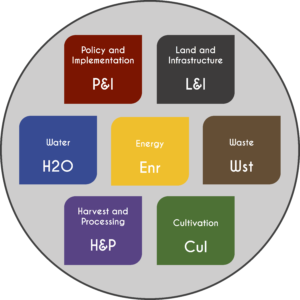 We assess your operation based on our Standards’ core pillars: policy and implementation, land and infrastructure, cultivation, water, waste, energy, harvesting and processing. Through TCC Certification consumers are provided the opportunity to make an educated choice and have assurance that TCC labeled products follow strict adherence to our Sustainability Standards and are free of harmful chemical inputs. The MYGrow™ Quick Response (QR) Code system connects consumers directly to producers. The individualized QR codes are incorporated into the label on packages. 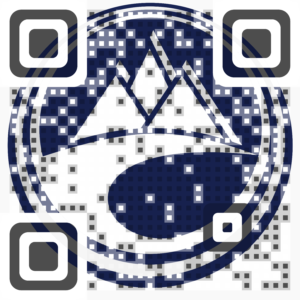 Consumers scan the code and they are brought directly to the grower's webpage on TCC's website. This platform enables consumers to learn about their grower and their products. It gives growers the opportunity to tell their story directly to consumers. This builds brand loyalty, trust and increases the value of TCC Certified products. By offering a direct consumer link to growers, TCC affords the marketplace a transparent model for traceability and quality that no other standard or certification body currently offers. People want to purchase and consume products they can trust and that adhere to their personal values. TCC Certified Cannabis is the only Cannabis verified to be grown sustainably. Our consumers are conscientious about what they put into their bodies and are aware of the impacts that the products they consume have on their community and the planet. They seek out and choose our products because they can rest assured of the superior quality and commitment to sustainability. Through our MYGrow™ QR system, consumers are able to learn about and connect with the people and facilities that produce the Cannabis they know and love. TCC Certified products add value to your dispensary by reducing the amount of time that budtenders spend with customers, providing customers with product quality assurance and includes you in a network of dispensaries that offer clean, sustainably certified products. Implementation of the TCC Sustainability Certification can be used for promotional purposes through local media outlets and will convey the message that clean Cannabis is available for local patients in need and recreational users alike. Through certification, cultivators demonstrate their industry leadership and commitment to sustainability, while promoting a culture of transparency and accountability. TCC Sustainability Certification enhances growers’ accountability for their impacts and therefore enhances trust between grower and consumer. This accountability facilitates shared values and provides a mechanism for consumers to develop an emotional attachment to their products, which ultimately helps build a stronger brand. Internal management and decision-making processes are examined and improved, leading to cost reductions.